Can I use the Makerspace? What if I need to complete a project for coursework or research? Is there a fee to use the equipment? What equipment is available in the general shop space? If I have had training on similar equipment, do I still need to complete training in the Makerspace? Is there a dress code or required protective equipment? Can I bring friends or family into the Makerspace? Can I have my supplies shipped directly to the Makerspace? Can I store my projects or materials in the Makerspace? How do I pay for training or consumables? I have an idea for a project but I don’t know how to make it, will I be able to get help from Makerspace staff? What are the recommended QR Code Scanner apps? 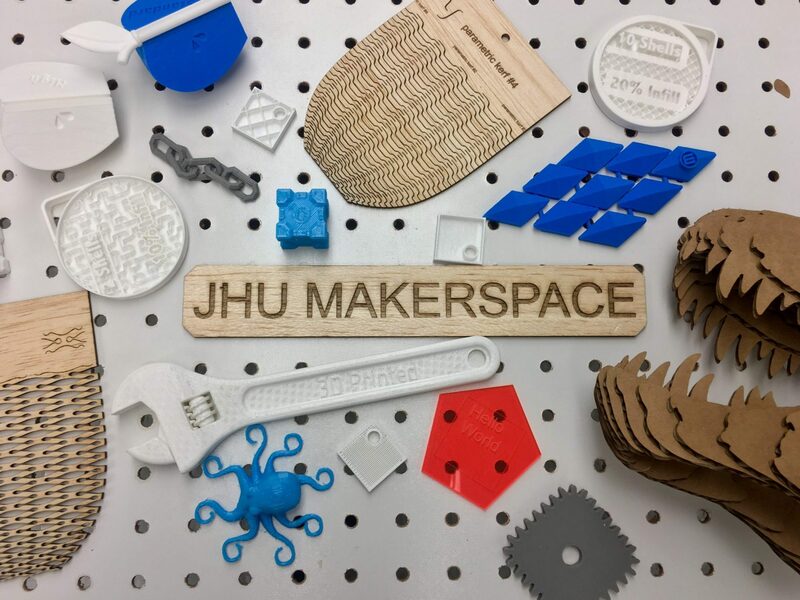 The Makerspace is open to all students, faculty and staff of Johns Hopkins University. Priority is given to personal projects that are not related to coursework or grant-funded research projects and that have not yet reached the point of commercialization. WSE Manufacturing has a Professional Machine Shop, Self – Service Machine Shop, and Advanced Manufacturing Lab that you can use. Cost will vary depending on the training and equipment you want to use. Each training will cost either $5 or $10. Training is a one time cost. For a limited time you can use promo code:thankyoujhu at check out to get everything for free! See Equipment and Resources for more details. The Laser Cutter, 3D Printer, and Vinyl Cutter are currently the only equipment with a usage fee or material fee. For a limited time you can use promo code:thankyoujhu at check out to get everything for free! See Equipment and Resources for more details. Our general shop will be available 24/7 to users once training is complete. The Makerspace will be staffed from 11 a.m. to 8 p.m. Monday through Friday. The Metal Shop, Wood Shop, and Paint Booth will only be available during staffed hours. This area includes Laser Cutters, 3-D Printers, Hand Tools, a Vinyl Cutter, and Electronics Workbench. See Equipment and Resources for more details. You will need to complete Makerspace specific training in order to use Makerspace equipment and resources. In the general shop area we will not allow open-toed footwear or any food and drinks. The metal working room, wood working room, and paint booth will all have additional restrictions and guidelines that will be covered during their respective training. Only if they are an affiliate of Johns Hopkins University (Do they have a J Card?) and have completed our general shop training. Only Makerspace staff and FFU staff can give tours of the space. No, unfortunately we do not have the resources to support this. We do have some limited storage that you can contact us about, but it is not guaranteed. We do have some storage available but it is limited. Contact us to discuss in more detail. Otherwise whatever you bring with you should leave with you. We will accept all major credit cards and JCash. For a limited time you can use promo code: thankyoujhu at check out to get everything for free! Yes, when we are not running equipment and resource training we will be available to help you make your idea a reality. We will have more details soon on how to schedule this time in advance.